Thankfully, there are a number of SEO tools and resources that can be used to ensure that your website is optimized for the search engines. But, which program is the best, which software deserves a try and which should be skipped? I got you covered in this guide! Here is my list of the 100+ best SEO tools that you should be using in 2019. I have done the heavy lifting for you by compiling a list of recommended, tried and trusted SEO software reviews. Rest assured, you can rely on them for their outstanding results as I use them daily for my client’s at SEO Expert Brad. Want your product featured here? Contact me and let’s talk. SEMrush is a one-stop shop for all of the marketing resources an online business professional needs. It helps SEO’s perform daily tasks and provides an in-depth analysis of the performance that is clear and easily incorporated into any digital marketing strategy. This is my number one go-to platform for all SEO, pay per click, social media, and content marketing analysis. It tracks all of my content, so I don’t have to and gives me big picture performance at a glance. If I want something specific, I can drill down on anything in particular, and the information is instantly there for me to see. With the SEMrush workflow, identifying opportunities to increase brand awareness and reacting to them right away is easy. The whole team has access to the platform, so execution is streamlined because everyone is on the same page. Insights are translated seamlessly, keeping everyone up to date. SEMrush allows me to manage my SEO auditing and semantic resources to generate ideas for more organic traffic. Using competitive intelligence to remain relevant to similar businesses, I can increase site traffic and monitor backlink usage and analytics. I can improve my pay per click efforts by analyzing advertising strategies to get the most out of placement and keyword usage. Enabling keyword research options creates better optimization because I immediately see what’s working and what’s not. Identifying negative keywords means I can stop using them to avoid poaching my campaigns. With a dashboard visualizing my audience and engagement changes on social media over time, SEMrush helps me discover my best performing posts. I can compare how I rank against competitors and get instant insights into my social strategy. SEMrush enables users to collect brand mentions, discover trending topics, and adjust content based on engagements. Because of this, my content and public relations are always relevant to the highest possible performance at all times. SEMrush also has enterprise services, so all of these features are available for those who need resources on a global scale. The added benefits to enterprise customers include consulting, training, support, and exclusive access to beta features. Enterprise customers need more profound insights into their industry. Sending SEMrush a request for a specific database prompts them to develop a customized solution with all of the details you need to hit the ground running. SEMrush knows enterprise businesses already have processes ingrained in their workflow. Those processes need valuable support. With fully customizable white-label reports, large companies don’t have to disrupt the entire team to implement a new solution. SEMrush also builds custom reports to suit the most specific needs. You already use platforms and solutions as part of your overall process, and SEMrush doesn’t disrupt those processes. They can build custom integrations with almost anything you already use, such as project management software. You can also enable notifications via a corporate messenger or use their API to build your own. SEMrush is the most comprehensive solution on the market for incorporating a wide variety of features into a single spot. It’s easy to use and provides valuable customization so the learning curve is small and implementation is seamless. If you are going to pay for one platform, this is it. Subscription plans for SEM rush start at $99 per month. Now that Rand Fishkin is gone, I expect Moz to make a come back. Moz Pro is a comprehensive solution providing keyword selection and tracking insights. It helps optimize pages by using intelligent site crawls, finding link opportunities, and creating custom reports. By providing unique and reliable sets of data, Moz Pro eliminates guesswork and gives you the information you need to do your job. Growing traffic is all about using the right keywords. With Moz Pro, you get targeting keyword suggestions which highlight areas in the market with the most opportunity for results. You can use this feature to predict the outcome of your keyword usage and create accurate volume estimates. Build lists to manage your keywords to support your entire end-to-end process. Accurately track how your keywords rank compared to the competition. You always know what searchers see by monitoring local and national searches. This gives you a holistic picture of your performance in searches and provides you with a unique Search Visibility score. Open up your site so search engines can fully crawl to return accurate results. The Moz Pro site crawler searches every inch of your site to find problems preventing search engines from displaying your page to searchers. Enable alerts so when the site crawler finds issues, you can fix them fast. By customizing reports in Moz Pro, you gain valuable insight into how you use your keywords or implement your strategy. Drag-and-drop modules make reports easy to use and read. You can also save time by scheduling recurring reports to send directly to teammates, clients, or stakeholders. Accomplishing premium optimization and gaining your maximum potential rank is easy with these features. Audit your site for recommended improvements, or automate reports to give you what you need when you need it. Save time by creating the most relevant content first and using custom suggestions to make the most useful changes. Google Analytics tracks and reports website traffic. It is the most widely used web analytics services, and it provides a comprehensive view of website traffic and user behavior. The basic version is free, but also available are Google Analytics 360 for enterprise customers and Google Analytics for Mobile Apps, an SDK gathering usage data from iOS and Android apps. Google Analytics allows you to review online campaigns by tracking conversions. You can set up goals for lead generation, specific page views, or file downloads. Google Analytics will show both high-level data and detailed data for those users who like to drill down farther. Google Analytics e-commerce reporting tracks sales activity and performance, making it easier for you to determine where your marketing time and money is spent. The e-commerce report displays transactions, revenue, and other metrics for easy digestion. Using Real-Time analytics, Google Analytics users with less than five million page views per month can track visitors currently on their site. You can use this feature to study the behavior and demographics of people on your site and is beneficial for successful implementation of a marketing strategy. If you have an app, Google Analytics for Mobile is useful because you can take advantage of all of these features as they pertain to people who view your site on mobile platforms. Geo-tracking is much more relevant in this scenario and can improve your local marketing campaigns. Sampling also presents some limitations to the accuracy of your data. Google Analytics limits reports to 500,000 randomly sampled sessions to reduce server load and provide quicker response times. In some cases, margins of error are significant; however, for large segments of data, the sample size is accurate enough for most users. Third party tools are almost entirely nonsense. Many of them are overpriced guess machines. They fabricate data, become obsolete, fail to update and often give you bad information which is even worse than no information. I use Google itself, Google Analytics, and Google Webmaster Console to get accurate information that can be relied on. There are some ancillary tools I use for preliminary work but anything you want to spend real money on should be tested with simple versions of the idea and tracked using Google’s own algorithm before being rolled out in larger scale iterations. Ahrefs is powered by the most complete data in the industry. Regarding the amount of comprehensive data provided, this is the best resource. A massive amount of information returns with each search, but filtering through it is overwhelming if you don’t know how to use it. However, it is beyond compare if tracking your competitors is a vital part of your business. Ahrefs features are dedicated to helping you outrank your competitors. This singular goal stands behind every resource they provide. Using the Ahrefs organic search report, you can see which keywords help your competitors rank in search results and how much traffic they bring. Find their organic traffic and what drives visits to their pages to reveal keywords you don’t use. This Content Gap feature provides the best possible coverage with over 240 million keywords in the United States alone. The Keywords Explorer suggests relevant keywords from over three billion keywords already in use. A keyword difficulty score and keyword metrics help you make educated decisions about which keywords to target. Search volume trends give insight into search behavior and ranking history. The Ahrefs backlink checker crawls four billion web pages every twenty-four hours and updates the index in fifteen-minute increments, ensuring the freshest data is available to you at all times. Use the Site Explorer to monitor the backlinks of any URL and gain valuable SEO metric information. Stay up to date on what content works well in your industry. Using this feature to research keywords displays the best performing content as it relates to social buzz, backlinks, and organic traffic. You can find articles mentioning your target keywords or see websites that have never linked to you. In conjunction with the backlink checker, this feature is useful in determining how to enhance your social presence. Engage with other industry experts to increase backlinks and start conversations with followers to create social chatter. Ahrefs can track both desktop and mobile keyword rankings for location-specific ranking reports. Plot your ranking history on a graph to highlight trends, or set up automated ranking reports to monitor improvement over time. It’s hard to forget to check your rank when you set up email notifications on a daily, weekly, or monthly basis. Tracking your competitors give you an edge. By setting up alerts to notify you when a competitor gains or loses a backlink, you stay one step ahead in real time. You can also set up alerts for any keyword, so when someone mentions one of these on their website, you get a notification. This is a useful feature for tracking your competitors online and responding to opportunities immediately. Editorially granted backlinks are a strong signal that your content is important and useful. It’s critical to make sure you craft content that is link worthy and useful to searchers. Ahrefs helps me keep tabs on the competition and what they’re doing right (or wrong). Since a backlink is an endorsement, it’s important to keep your finger on the pulse of how you line up in your field. Ahrefs is an innovative company, which is partly why I feel comfortable saying they’ll likely stay ahead of the curve for years to come! SEOJet is a first of its kind backlink software. Instead of telling you where to get links, it walks you through the process of building a backlink profile to rank #1. After analyzing your backlinks, the software factors in the backlink profiles from top ranked sites across all categories on the internet and uses that data to give you a link by link guide on the anchor text you should be using in every link. The foundation of the software is in what SEOJet terms “link maps.” A link map is essentially a link building plan for each page of your site. When you add a page that you want to build links to into SEOJet, it pulls in all of your current links. The software reads the anchor text of each link and categorizes it for you. From there it shows you exactly where your backlink profile is and what changes you need to make to reach a natural looking profile. This process allows you to always have an incredibly natural backlink profile throughout the link building process. Because of this, you can build links as quickly or as slowly as you feel comfortable with and your profile will always look good to the big G.
Another unique feature of SEOJet is they will guide you to do your homepage SEO a little differently then you may be used to. Using data from big brands like Amazon, Apple and others that constantly show high in the search results, SEOJet helps you build brand trust with your homepage. The homepage link maps mimic those of the big brands so you can let Google know your business is legitimate, trustworthy and worthy to be ranked in the search results. Also known in other parts of the online marketing world as money pages or pillar pages, SEOJet focuses on building links to what they call “power pages.” These are pages heavy in well written, beneficial content. They recommend that your power pages have at least 1800 words of content and then the software guides you through the link building process so your power pages can rank for your desired keywords. Power pages also play an important role in passing SEO juice to the rest of your site as you build more and more targeted links with the guidance of SEOJet. If you have ever been concerned to build links for fear of a penalty, or just felt like you were guessing when you were choosing your anchor text for each link, then SEOJet should help you get back on the link building wagon. The trial version offers a free website analyzer. With more than 126,000 users, a lot of people have trusted SEOprofiler with their search engine health. SEOprofiler follows Google’s guidelines for search engine optimization, optimizing your ranking opportunities. The toolset available provides link analysis, competitive intelligence, link building, keyword research, social media, website audits, and more. With multi-user account support, your team can work together on projects, or you can outsource tasks to the virtual assistant. It’s a project tool for agencies or one person operations. You can assign projects to specific people or attach different permission sets to each user based on their tasks. This increases the efficiency of your organization. Ranking Monitor checks Google, Google Mobile, Yahoo, and Bing daily for your position. This includes for which keywords you are ranked, how your competitors are ranked, and how your rank changes from day to day. Use Ranking Intelligence to learn which keywords work for you and your competitors. It displays which keywords get the most searches, which rankings deliver the most visitors to your competitors, and how to maximize the results of their rankings to convert those numbers to your pages. The AdWords Intelligence feature helps you figure out how others maximize the results of their AdWords campaigns, so you benefit from work you didn’t have to do. Having a good link structure leads to high ranks on Google, so the Link Analyzer helps determine which pages get the most links and which words link or how often they link to pages. The Link Builder then uses this information to tell you which links have the highest quality. Website auditing and website monitoring keep negative influence off of your page and ensure your page is always performing optimally. Social Media Monitoring tracks when and what people say about you so you can continuously engage with followers and respond right away. White-labeled reports help you visualize your data. Using your logo and company colors, you can build customized ranking reports, keyword reports, link reports, analytics reports, and more. Schedule reports to send to clients or create them on the fly when you need them. SEOprofiler is a comprehensive solution suited ideally for SEO agencies who need to keep track of multiple projects, a large team, or client updates. SimilarWeb is a market intelligence solution helping you make strategic decisions, optimize digital effectiveness, discover trends in real time, see competitors’ traffic, and track your market share. Using traffic, engagement, keywords, audience, and popular pages you can benchmark your website against competitors for effective website analysis. Use similar metrics to monitor industry leaders and analysis, or track reach, engagement, and retention for app analysis. Empower your sales team with insights into conversion, brand market, and audience behavior. With SimilarWeb, you can monitor keywords and referrals with the highest conversion rates and invest wisely to boost ROI. Identify non-competitive keywords to increase your market share. Spot retention issues with your competitors to benchmark loyalty and take advantage of the lowest hanging fruit. The SimilarWeb API is useful for returning some additional metrics such as web traffic numbers, category and tag statistics, and traffic sources. The browser extension makes it easy to instantly track these metrics on any webpage. The introduction of Keyword Planner recently has resulted in a structured workflow as it combines the features of the two keyword tools – AdWords Traffic Estimator and Google Keyword Finder Tool. It enables you to quickly create ad campaigns and ad groups. Check out this google keyword planner tutorial. When you search for keyword and ad group ideas, AdWords provides an opportunity for researching and picking keywords to add to the account. You can filter out the keywords that are not relevant to your business. You can make your plan to save the keywords you consider are essential. ‘Your Plan’ is a temporary storage area which saves the words you think are good. Once you have added all the necessary keywords, you may click on the Get Estimates and Review Plan button. As keyword volume is based on your location, bid and the likes, you need to provide some information to customize your estimates. For this, you need to give a bid and a daily budget for the Keyword Planner to generate daily forecasts for Average Ad Position, Clicks, Costs and Impressions. When this is finished, download the plan in any format. A third option is to multiply the list by different keyword permutations. You can have a maximum of three lists to mash up. The difference here is that you will get a keyword list based on the three lists you provided. I find the keyword list generator very useful for research. Do not forget; you can use the Google Keyword Planner for free, just sign up for an AdWords account. Monitor and maintain your presence in Google search results by signing up for Google Search Console. It’s a free service and helps you understand how Google sees your site. With this information, you can optimize your site’s performance in search results. Google Search Console makes sure your content is accessible. Resolve malware or spam issues immediately to keep your site clean. Use the service to submit new content for crawling or remove content you don’t want to be shown in search results. Knowing how your site performs enables you to create content that is visually appealing and ranks better than existing content or your competitors. You can maintain your site’s content without disrupting your search performance. With Google Search Console you can track which queries returned your site as a result and which queries generated the most traffic so you can optimize your site with the appropriate keywords. You can also see how product prices, contact information, or events are highlighted in search results. If your site isn’t performing, you can manipulate critical pages or links to ensure improvement. As a business owner, even if you don’t use Search Console often, knowing how to read reports can influence business decisions regarding your website. Site performance drives other aspects of your business and familiarizing yourself with the basics gives you a leading edge when analyzing your business’s performance online. SEO and marketing specialists can monitor traffic, optimize rank, and make decisions about your site’s appearance and search results. The information here is used to influence technical decisions regarding the website or perform marketing analysis. As a site administrator, you care about the operation of your site and can use Google Search Console to resolve server errors, site load issues, or security issues. Ensure site maintenance, and adjustments don’t disrupt search performance by continuously monitoring statistics. Web developers use Google Search Console to monitor and resolve issues with markup or identify errors in the code. App developers find the console useful for learning how mobile users find your app and can use that information to integrate your app with websites. This solution isn’t as robust as others regarding specific SEO tracking, auditing, or suggestions. However, it provides holistic value to an organization for monitoring site performance, traffic, and general operations. In my view, MozBar is one you cannot optimize your website for SEO without. Best known for its Domain Authority metric, Moz has been around almost as long as I have. It is a web browser extension which can be used in Google Chrome and Mozilla Firefox. It is helpful in providing the metrics about the websites you visit. This tab helps to inspect the HTML elements that are important for optimization. You don’t have to search for each item as everything is presented in this tab. Just click on it, and you can view it formatted. The data displayed here includes URL, page title, meta description, meta keywords, and H1s. This tab shows the technical characteristics of the web pages. The elements included here influence the efforts you make to optimize the page. These affect the performance and indexing status of the page. The items include meta robots, Rel= “canonical,” page load time and Google cache URL among many others. Link Data tab provides the link metrics on an URL, domain and subdomain level for the page which is being analyzed. The metrics displayed includes Page Authority, MozRank, MozTrust, Total Links, etc. This help understands the strength of the competitor’s web pages. You can also find out if there are backlink opportunities for your website that are valuable. Majestic SEO is a great tool for link research, link analysis, competitive intelligence, and link building. It has a huge and regularly updated index of links which make sure you don’t miss out on anything. It also has a few helpful propriety metrics like the “Citation Flow” and the “Trust Flow.” These can help you see if the link from the site that you want is spammy or authoritative. After all, Trust and Authority are paramount to Google TrustRank. Majestic touts themselves as the planet’s most extensive Link Index database. The fabric of the web is intricately woven, and link building influences reputation and trust. Majestic provides detailed information on how your site measures up to link intelligence standards. Finding potential clients, compiling pitches, managing your portfolio, and auditing website performance is at the forefront of SEO. Use Majestic features to compare your site to competitors and visually identify their strengths so you can compete accordingly. Compare keywords, create an instant site audit, and identify link relationships to enhance your performance. Use Majestic’s tracking reports to analyze, report, and act on this information. Use Majestic to make insightful discoveries about crucial influencers in your industry. You can compare large lists of URLs to see who is highly ranked, find the most influential accounts on Twitter, and bookmark pages for follow up later. Prepare for new business opportunities by keeping track of your SEO or social media team and tracking performance. Link profile summaries are at your fingertips, and comparison charts help you visualize how your link profile stacks up against the competition. Your teams and track and report on these findings to make educated decisions. This is the best resource for seeing your website’s link profile and generating ideas for improving your link building. As an SEO Consultant, my favorite tool which reduces the time taken to analyze a web page as it provides a lot of background information. All you have to do is type in an URL and wait for it to generate a report of the site. You could do this on any site including yours. You will get a detailed report within a short time. The report generated has the following sections. SEOWorkers analysis is a unique feature. Along with giving you a report on the data, it teaches you more about Google search engine optimization. With each of the above section analyzed, a detailed discussion and often a video is included. Also, the keyword analysis should not be overlooked. It provides head terms or single keywords and key phrases that contain two, three or four words, also called longtail keywords. It provides some additional information which could be useful to you. Although it gives a lot of information at one go, you can choose what you need wisely. Woorank software analyzes and provides a report within seconds. It displays useful geodata including traffic rank, AdWords Traffic, and Visitors Localization. Another section is the social shareability. No other SEO software gives this information in a single place. It tells you the performance of your website in the social networks and stuff like how much likes and shares you got. The next section is the mobile section which provides details on mobile rendering like the time taken by your site to load on a mobile phone. Woorank helps your digital marketing campaign with the following three steps. You can use the Woorank keyword finder for keyword research. This lets you view the following information. Woorank is popular due to its interface, ease of use and the amount of data it displays to help in SEO. It is an SEO Ranking Checker you should check out for sure. Grammarly grammar checker is a platform designed to detect both common and advanced writing errors to help writers improve their writing skills. It is easy to install and user-friendly. It is the industry standard. It will only detect common spelling and grammatical errors. The premium version offers upgraded features helpful to those who write more often or write professionally. With the add-on for Chrome and Firefox, Grammarly can be used to catch writing errors in emails, social media, or filling any online forms. Alerts in the event of missing subjects. It is not a substitution for proofreading, but it does make the process easier. It is supported by Microsoft and OS X and has extensions available for chrome and firefox to notify users of errors while writing online. This is a simple program which has an impressive visual layout with all the crucial information laid out for you to see. While you can analyze your website, you can also find out how your competitors are performing. The best thing that I love about this tool is that the report generated gives a side-by-side comparison of the information of your site as well as the competitors’. Also, Quick Sprout tells you what changes you need to make to gain more traffic for your website. It also guides on how to bring about these changes. Thus, the tool mainly helps you in boosting the website traffic. Quick Sprout works in the following ways. Analyzes the traffic to your website by connecting to your Google Analytics account. Sends alerts about improvements on the website you should make. These alerts are easy for you to understand and implement. Helps you grow and get closer to your customers by building good traffic. This way, you get a clear understanding of customer needs. It works by verifying that you are an authorized owner/admin of the site. You can verify using any of the five methods – the HTML file upload, HTML tag, domain name provider, Google Analytics or Google Tag Manager. After verification, you can log in and access the data about your site. GWT has an easy-to-use dashboard which displays the information about your site and the new messages from Google. Crawl errors show the errors which prevented Google from accessing pages of your site. You can identify if Google has issues indexing any of your pages. Thus, you can determine and fix these errors. Detailed information is then given to search queries. This is about how people do the searching and what keywords are used to search. The next section is the sitemaps. It maps out the pages that you want Google to index. You can also specify the pages which you do not want Google to find; like the login page, RSS feeds or pages that contain relevant data that are not for the visitors. A simple way to improve the rankings on Google is to have more sites link to your site. If your website content is pretty good and provides valuable information to the customers, this happens naturally. To keep a watch on the growth of the links, monitor this area in the GWT. You can also monitor which pages are preferred most by people for linking. If you want more sites to link to your site, start writing link bait articles that can be submitted through the web. Link bait is the content relevant to your site which grabs attention and persuades the visitors to create hyperlinks to your site. It is possible to generate a lot of links to your site if you can appear on the homepages of individual sites. Likewise, there are a lot of sections in the dashboard which provides information about your site and the related issues. The tool also guides you to fix the errors so that all of your required pages are indexed thus appearing on the result pages. The most significant value you get from data visualization is the ability to snapshot the landscape quickly and drive actionable strategies immediately. Cognitive SEO enables you to uncover your competitor’s strategies and use the work they already did to your advantage. The free backlink checker provides a technical SEO perspective on link exploration, competitor analysis, and link metrics. With real-time information on inbound links, domain authority, and anchor text at your fingertips, you can explore trillions of links and analyze historical data for growth opportunities. The content assistant provides keyword ideas and topic insights instantly, helping you find the right topics to target by considering search volumes or content performance. Discover new ranking opportunities immediately and invest in worthwhile keywords. By monitoring over 100,000 keywords, you can check mobile and desktop rankings for significant fluctuations. Optimize keyword usage based on location, time of year, or access point. SerpWorx is an SEO metric aggregator bringing all of your SEO metrics into a centralized dashboard with a single click. It integrates with Majestic, Ahrefs, Google PageSpeed, Moz, and SEMrush. Instead of checking multiple dashboards for the data you need, you can save time by logging into SerpWorx for a transparent view of all of your metrics. Competitive analysis is enhanced with bundled key metrics visible side by side, and the detailed navigation makes the user experience seamless. You can also use the SerpWorx plugin to track these metrics for any website you want to visit. Use the sidebar on any website to pull up underlying metrics. Clicking on any metric in the sidebar opens a dialogue box of metrics details. It’s a fast way to check relevant parameters without ever leaving the page. This solution is ideal for people who have multiple subscriptions to SEO platforms and spend the majority of their time jumping from site to site to check metrics or do competitive analysis. Outside of the “usual suspects”, I really like SerpWorx. It’s a super handy plugin for Google Chrome. In the SEO game, keyword research and monitoring your competitor’s metrics is really important to maintain your rankings. You don’t always have time to fire up some of the more complex tools when doing SEO research. SerpWorx gives you a quick snapshot of metrics, all in the browser. A sitemap is an excellent addition to your website, especially if you want to make it more accessible and user-friendly. The XML Google Sitemap Generator helps you create a secure and efficient sitemap for your site in the click of a button. It is not just useful for building Sitemaps; it is also beneficial when it comes to finding broken links on your website. There is nothing that anyone hates more than being stuck when you are trying to get around the site. Finding broken links on your website with the help of the XML Google Sitemap Generator is as easy as it can get. You might have more broken links and issues that you would have realized and these need to be fixed as soon as possible. To find the areas with the problem, just enter the URL into the XML Google Sitemap Generator to get a full and detailed report about the broken links, redirects and site crawl in your website. You even have the option of having the tool send the reports to you in the form of emails, which ensures that you have access to it whenever and wherever you might need it. Google sure has a wide range of application and plugins that can be used to get a great deal of data or information from your website. The audience is the key that decides whether the site is a success or not. Surveys are always a great way of getting to know your audience and listening to their needs and problems. But these surveys can cost a lot of money to be done efficiently. Consumer Surveys has a free feature that helps you get a measure of consumer satisfaction and opinions. There is both a free and paid option of this app, which you can choose based on your needs. The free version can only be used to ask four default questions, but even this can still be of great help when it comes to gaining information about how the users felt about your website and their experience while using it. Getting data directly from users enables you to make changes and helps you correct any issues to improve the experience. Primarily, SEO Report Cards provides necessary information regarding the condition of the website when it appears in search results. Further, it also provides high-level insight on the content available and offers on-site recommendations and the usual ranking factors. Varvy’s overview analyzes and audits your website. The analysis is done against critical metrics like social counts, the strength of the domain, available links, on page SEO, technical status and the loading time taken by the page. Varvy’s Overview is exceptionally efficient and prepares your website’s report in less than a minute, giving a detailed insight into how well your site is currently performing. This free tool also uses a system of symbols like green checks, yellow exclamation marks, and red Xs to highlight the issues depending on their severity. Hubspot’s Website Grader is a free online tool which helps you understand the performance of your website. It compares and grades the website against several metrics like SEO, mobile readiness, security, and general accessibility. The tool also investigates email marketing campaigns and the internal workings of the site. This automatically gives your website increased leverage regarding getting found online and ranking higher among search results. Hotjar is a powerful all-in-one analytics and feedback tool which gives an all-around review of your website. It helps your track online behavior pattern of visitors by learning where they click, how much they linger on each page and their scrolling patterns. Hotjar has a fantastic list of features including Heatmap, Recordings and Surveys give in-depth tracking and analysis of visitors’ behavior, thus providing insight on how to charter ways to improve traffic flow. Siteliner is one of my favorite SEO free tools because it helps find duplicate content issues on a site. Siteliner provides results for the whole site as well as each page of the website in the form of a detailed report which includes page power, duplicate content, broken links, skipped pages, related domains and the likes. It’s a free and useful to help you evaluate your entire website and the pages to make changes that will improve traffic. 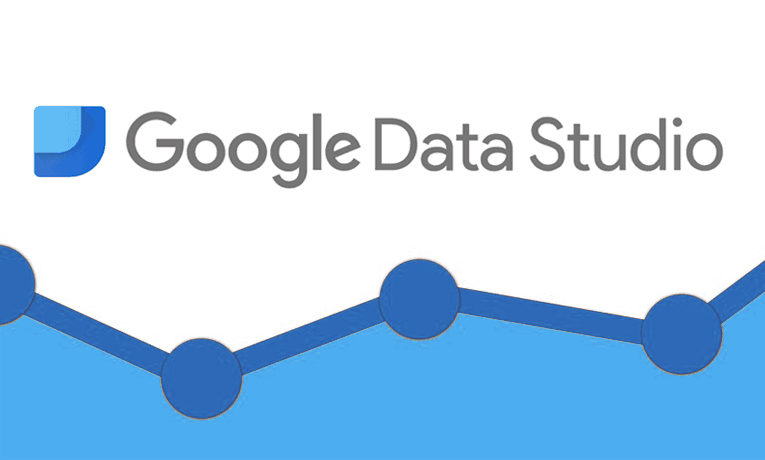 If you have always faced troubles in understanding and deciphering analytics data, Google Data Studio is for you. It is easy to use tool which can help you in converting challenging to understand analytics data into easy to understand reports. The reports so generated are not only easy to read, but you can even share them with your clients in the form of charts, bar graphs and so on. The best part of Data Studio is its ability to pull in any type of data apart from just Google Analytics data. You can even employ it to pull Facebook data – all you need to do is enter it into a Google Sheet. Google Similar Pages is a fantastic extension that lets you find websites and web pages similar to the current browsing page. This helps you in finding more information related to a certain topic on the go without any hassles. Once you click on the browser after installation, the extension will send a search request to Google to see if there are pages similar to the one you are viewing. It also comes complete with links to the page and a thumbnail preview. The related sites are usually correct, but it seems to work better when you are browsing for specific articles. So, if you are the type of person who likes to research a lot and cant always think of the right search query on Google, this extension will be of great help. When we talk about keyword tools, we cannot ignore the benefits of Ubersuggest. When you are running out of keywords even on the Google Keyword Planner and need some newer ideas, Ubersuggest is a perfect alternative. This software helps you plan your target keywords and increase your website’s rankings. Over time, this has proven to be extremely useful and reliable. It gives a lot more suggestions for alternative keywords as compared to the other options in the same category. You can search for keywords from images, texts, news, shopping portals, YouTube and the likes. Ubersuggest is free, and I would highly recommend you to give this site a try. No matter, you might already be using Google Keyword Planner, but having an extra tool to dig deeper never hurts, right? Wordtracker is a powerful keyword research software that I often rely upon. It comes with its internal index of keywords. This means that it can help you come across long tail keywords that are not shown in the GKP. It can also provide you with excellent first-page competition data. The “Search for this keyword” option allows you to find long tail variations of any given keyword. You can repeat this process until you see the long tail keywords that you need. You can get a free trial version on their official website. It can also provide you with a new and profitable market niche. The software comes with world-class support and free training. Wordtracker has helped me save a lot of time and improve my web ranking. KWFinder helps you find keywords you can easily rank for, reveal keywords your competitors are missing, find search volumes for keyword variants, and narrow your keyword research by location. The simple interface is fast and easy to use, getting you the results you need in an instant. One click expands your research with relevant metrics designed for analysis. By identifying what your competitors are missing or using close variants to keywords, you can find exact volume and optimize your usage. Search by location and language to get localized results. SECockPit is great for keyword research and analysis. It has helped me save hours on keyword analysis. It has the enormous processing power and runs in the cloud. It can return up to 200 fully processed and analyzed keywords every minute. SECockpit works at full capacity, irrespective of your internet condition. It provides you access to a wide range of valuable data. It can help you find the most valuable keywords for your website in just a matter of seconds. The software provides you with an enormous amount of opportunity to improve your site. It provides you with keyword variations and much more. There is a broad range of packages available based on your needs and requirement. I would recommend Long Tail Pro if you are looking to find profitable keywords. Search engines prefer long tail keywords, and this is where this tool helps you in hitting bull’s eye. Long Tail Pro is an automated system that provides the best set of long tail keywords for your content. It helps you determine the difficulty level of different keywords and calculate keyword profitability. Long Tail Pro is a premium tool and thus costs about $47 per month. So, is it worth it? Well, yes. No doubt, you can search for long tail keywords manually. But, Long Tail Pro makes your work easier by saving your time and unwanted hassles. You can use the time saved in for writing blogs and generating quality backlinks! If you want to know how it works, you can sign up for a trial version of $1 for ten days and experience the functions. The most significant advantage of this tool is that as a user, you do not have to be an expert in SEO. The user interface is simple and thus easy to understand and use. Seed keywords originated from an inbound agency known as Red Revolution from the United Kingdom. Seed keywords is a very straightforward program designed for keyword research. Seed keywords are those words that we use as our base keywords. They are the foundation or base keywords for Search Engine Optimization. As business owners, we tend to think of keywords from our point of view and not from that of probable clients who are looking for our products and services. You might probably want to head to your site’s analytics to make a website’s seed list. This provides your friend with the information they require when they type in Google by sending them a seed keyword link. Seed keywords are a critical source of ideas when developing content for your site. They usually make outstanding keywords/search queries and content ideas when you tweak for your needs. Seed keywords is a simple SEO application that has the potential of providing excellent ideas. This is especially useful when you are trying to establish keyword topics and LSI terms. In the fields of web designing and lead generation, Spyfu is one of the most resourceful tools. Spyfu provides you with a user-friendly dashboard that can be used to find out any information regarding your competitors, including their keywords, PPC, Google Adwords, and SEO strategies. This helps you to identify the mistakes of your opponents, and you can effectively avoid them and create a better platform. Further, it has an equally resourceful blog that provides detailed instructions on how to use the software. Spyfu’s Ad History gives beneficial statistics regarding how many times a particular keyword has been used in a domain, and it also includes other features like SpyfuKombat, Spyfu Domain History, and Spyfu Classic. The Keywordtool.io is an excellent keyword ranking tool for finding our long tail keywords that are left out by the Google Keyword Planner due to relative lesser usage. It is a freemium platform that is extremely suitable for you if you are looking for a quick and straightforward way to obtain a lot of keyword ideas. Another unique aspect of the Keywordtool.io is that you can utilize it for keywords from Google, Bing, Amazon, YouTube and the App store. Keywords are always the soul of your online marketing, and this has helped me get some superb and profitable search terms over the years. Did you know that adding LSI keywords to your content can significantly help improve your ranking? But the question that remains in everyone’s mind is which all LSI keywords to use in your content. And unlike the other keyword suggestion programs available in the market that can only give you variations of the word you put into them, this tool can understand the meaning of the words you provide and can provide better data than its counterparts. The best thing is that it is entirely free of cost, making it something that is available to everyone for use. When you search for something on Bing or Google, the suggestions are the result of the most common recent searches and provide insight into the emotions of the person behind the search. Answer the Public aggregates this data into charts and graphs so you can digest the information you need quickly to make valuable decisions about your online marketing and PR. Enter multiple search terms at once to compare them simultaneously. Visualize your data and create reports on specific topics, helping you communicate essential insights. Twinword Ideas is the first LSI keyword research application for SEO and PPC marketing that can sort and filter by user intent, relevance, search volume, and more. Built with A.I. this tool can auto-categorize keyword suggestions by User Intent (Know, Do, Buy, Local, Web). Each keyword searched can be categorized into one or a few intents. A user that searches “maroon five tickets” will be looking to buy tickets. This keyword falls into the “Buy” intent. Another issue many keyword finders face is that they often give too many unrelated keywords, forcing you to manually remove or ignore irrelevant keywords. Twinword Ideas can score each keyword’s relevance and allow you to filter them out with a simple slider. To get started, enter a keyword related to your campaign. Next, move the slider until all the unrelated keywords are gone. Done! Download the list and add it to your campaign. Authority Labs is a great when it comes to providing accurate and reliable rankings and insights and research on keywords. There are many plans based on your requirements; with the cheapest plan tracking 250 keywords. This will be more than what will be required for most businesses. Authority Labs can also be used to track Google local maps results. You can easily to share your reporting with all the members of your team, without the need for any downloads. You can also get a 30-day free trial if you want to check what you are investing in. It provides for global tracking as you can add pages or domains that you want to track from any country and language which is supported by Yahoo!, Google and Bing. We all have used the Incognito window option in the Google Chrome web application. But did you know this can also be used as a tool to improve your SEO? When you use the Google Chrome’s Incognito mode, it removes all traces of your browsing activity, including cookies and searches history, making you a ghost. When you search Google.com in the incognito window, it will bring up the all familiar list of auto-fill option. Many of these can help you in your keyword research. Going incognito mode in the web browser ensures that any customized search data that Google stores when you sign in is left out. Going incognito mode can be helpful to see where you rank on the result page when searched for a specified term. I regularly use this method to track rankings of my website and also to make sure that I don’t get left behind in the race for the top spot. DoubleClick Ad Planner is a subsidiary of Google that is extremely helpful when it comes to improving the revenue of your website through ads. Ads are one of the most important and efficient means of making a profit from your site, and therefore, it is essential to build, maintain and display attractive advertisements. The DoubleClick Ad planner is not just an intelligence platform that can be helpful in overtaking your competition; it can also give you a lot of essential and fantastic insight into the actions and likes of your visitor. Not only that, but you can also use the tool for a wide variety of functions, including the number of unique visitors that a competitor website might have had and the number of the overlapping audience between you and your competitor. You can also get detailed information about the demographics and the psychology of these visitors. Using and analyzing the data provided by the tool is also an easy task. All you have to do is click the Begin Research Button, and you are all set to go. On the left navigation field, type in the name and details of the website you want to compare and click add to get the data about the site from the last 30 days. The DoubleClick Ad Planner from Google is a great no matter what you want to do with your website. It is an efficient and easy way of comparing the statistics of different sites concerning yours and helps improve the profit from your website. Detecting emerging trends in Search early has always been an exceptionally valuable skill to have. Until recently, it was reserved for those who knew how to analyze Google Trends data efficiently and with the necessary time at their hands. By continually scraping Google Trends, TermChase.com uses this data with its in-house algorithm to make approximate predictions of a potential rise in popularity over the coming few weeks for any given keyword, indicated by their short-term score. Furthermore, with data ranging back to 2004, it also makes predictions of a keywords long-term popularity, indicated by their long-term rating. With the addition of interest by country, marketers can use the short-term score to prepare content targeting the right audience for keywords before the masses catch on to its rising popularity. This gives you an edge over the competition by being first, thus getting citations from people who research and write about the topic later. Using the long-term score, marketers can justify the investment in an exceptionally high-quality piece of content with confidence, knowing that the likelihood of it remaining trendy is high. Open Site Explorer was created by SEOmoz in 2010 and has been a favorite of SEO experts all around the world. It is an excellent link analysis tool that can replicate Google’s or Bing’s linkspace. It is for analyzing and exploring how web pages are indexed by the search engine. It helps you to research a vast amount of data about your competitors or your site. You can use it to measure the strength of your website and to evaluate the links. It is a must-have tool for every SEO specialist. One of the most significant advantages of using the Open Site Explorer is its capability to run competitive analysis against the websites of your competitors. The report produced gives you a detailed and in-depth view of each link and how they measure up against each other. Another significant advantage is that it can help you identify link building opportunities that best suit your needs. It can also help you find the links of your competitors and help you find identical sites that are willing to link to you. The site auditor by the Raven tools is an incredibly useful application when it comes to improving your SEO. It is excellent for website analysis and can give you different ideas to enhance your website. It allows you to find issues that might be preventing your site from achieving what it is supposed to be doing. It is available for both mobile and desktop version. The SEO audit function allows you to find the issues that might be affecting your website in their order of impact. This will enable you to focus on an essential part of the site. The site auditor allows you to stay on top of your business in a field which is never static. I use the Raven on a weekly basis to make sure that my search engine optimization is working as well as it is supposed to be. Site Auditor can be set to send you a notification whenever a new issue or problem that needs to be improved. Another added benefit is that it is compatible with almost all platforms and devices. The Buzzstream suite is a great platform that can help in link building and email outreach. Buzzstream can help turn the messy job of email outreach and link building into a smooth and more organized task. They also have a new prospect and email finding feature. Even though it is more of an outreach platform, it also includes link building tools. Buzzstream discovers contact information, social profiles and site metrics for your use. It also makes it easy for you prioritize your contact based on importance and influence. The Buzzstream automatically saves your emails and tweets, which makes sure that I never lose track of a conversation. You can also set reminders for follow-ups. Link Research Tools is an internet marketing toolset that provides link protection and optimizes your website. The features include Link Juice Thief, Missing Links, Strongest Sub Pages, Contact Finder, Link Juice Recovery and SERP Research. The Link Juice Thief allows you to check all links gained by your competitors. The Missing Links area compares the backlink of your competitors with your website and reports the links that are missing. Using the Strongest Sub Pages, you can search for the most potent page or subpage available in the domain and get a link from it. The Broken link finder allows you to hunt for broken links page by page. It works by proactively searching the Internet for the broken link. It’s as easy as searching for a keyword, and the broken link finder will scour the web for broken links and serve them to you on a silver platter. If you want to see the content of that broken link and where it is located, you can use the Wayback Machine. This tool can be found within the broken link finder and lets you create content that is similar to the original, or maybe even something better. You can sort your results based on how many people link to the broken link. It also gives you the privilege of reaching out to the site owners and letting them know that they’re linking to a broken page and suggesting your content instead. When done right, with the proper content, broken link building can become a content tactic. You’re helping build links to your site and also keeping the Internet fresh with new material. You can save a lot of time using Citation Labs Broken Link Finder. One thing that you should have learned by now is that not all backlinks are equal in value. You aim to get the backlinks which have the most value and weight. Muck Rack allows you to get high-quality backlinks from the highest quality websites like Forbes, The New York Times and the likes. It has been described as one of the easiest and effective ways to find and meet with journalists. You can find the most suitable person for pitching your website by searching through names, by searching keyword, media type, company name, beats, and competitors among other factors. Once you have chosen a journalist of your liking, you can contact them directly, follow them through their social media profile and work with them in an agreement that is mutually profitable and useful for both parties. Xenu might be the ugliest website SEO tool on the planet, but it is also damn useful. Xenu’s Link Sleuth can be used to crawl entire sites, create a sitemap and find broken links. The Link crawling is incredibly detailed in its presentation, making it ideal for any SEO specialist. It also has a host of other functions. It can be used to crawl your site into a Microsoft Excel file. You can also use analyze information about the site’s architecture. You can get a great deal of data and information that be useful in helping improve your search optimization. SEOQuake is a browser extension allowing you to check any website for SEO parameters on the fly. You can perform SEO audits, examine internal and external links, compare domains in real time, or export all data to a file. The simple interface makes it easy to perform an analysis with one click. It loads quickly and displays what you need when you need it. It’s free, and all you need is your browser. You can ditch all of the other cumbersome tools that cost too much. The real-time diagnosis feature checks your website’s health and helps you identify and fix optimization issues. You can also use this feature on your competitor’s sites to increase your competitive edge. The link examiner provides details on internal and external links including URLs, anchor text, and link types, so you can increase your link building or use your competitor’s’ links to rank. Compare multiple domains using a variety of parameters and export the results into a dynamic and fully adjustable report. Boomerang is an app that helps you improve your email productivity and functionality. Boomerang allows you to follow up on any emails, even the ones that you forgot. It is excellent when it comes to link building, guest posting, or any time when you have to send a lot of emails. Ontolo is in my toolkit for link building. It is designed to help you find prospective links based on topics, link types and phases of your choosing. It gets prospects from search results, filters, analyzes and places the results in a customized database. You can customize the type of sites that you get by configuring and the keyword that is provided. There are a number of attractive pricing options for choosing from and comes with a 14-day free trial if you want to check out what you are buying. The competitor analysis can be used to scour backlinks for the site you are monitoring. But if you get past the learning curve, it can be a rewarding addition to your arsena, providing you a great deal of data. Which are the websites that are backlinking to you? Is it possible to lose a link due to any reason? The primary function is to notify when you lose or gain backlinks. It also provides a large variety of details about the link, like the date added, the status of the link, the URL, and the landing page. You can also use the app to monitor and organically track your competitor’s website and its visibility. You can set the tool in such a way that every time your competitor gets a new link; it will notify you in the form of an email. Link building is easily one of the most important and crucial steps when it comes to running and maintaining your website, and Linkody is what I trust to push my site on the top of the ranking list. DIBZ is a powerful application for link prospecting and influencer outreach. All you need to do is enter the type of links you want to build, and it will get to work on finding link opportunities. It was designed to save time and streamlines the process of link building and influencer opportunity research. DIBZincludes several metrics for you to decide who to target, which includes domain rating, SPAM metrics, referring domains, social following, contact data, referring pages, etc. There’s also the option to get contact emails for those contacts you have acquired through the tool, as well as the ones obtained in other ways. It includes multiple email prospecting methods, which is why the success rate is very high. It analyzes a total of 17 SPAM signals and then neatly organizes the information for you in plain numbers, ready for you to use when conducting your quality analysis reports. If searching doesn’t do you justice, you can also import your list of prospects and opportunities, have them evaluated, then export to a prospecting list. Domain Hunter Plus is built for broken backlink building. Domain Hunter Plus Chrome Extension that allows you to scan a current web page and check for dead links and available domain names. Just load a webpage, click the icon in your toolbar, and the app scans all links and notifies you of the dead links. Once DHP finds dead links, it queries an internet domain registrar to see if those domains are available to register. If so, the user is notified, and one-click takes you right to the registration page. .When done crawling, it will give you a list of all incoming broken links to that page and the domain. For each error code, DHP shows you SEOmoz’s data, which comes from their linkscape API on the number of broken links that lead to that particular and domain. There’s also an option to open site explorer reports in a new webpage tab right from the DHP interface. If you would like to purchase multiple domains or just one domain, you can select from Godaddy.com and register them. However, if you want to just want a report, you can export all the results from the DHP into a .csv file later on. This is very useful and a time saver. One tip, turn off your ad blocker for best results. One of the areas of concern, when you are aiming for a high SEO ranking, is the presence of harmful links pointing to your website. Monitoring your backlink profile is essential. Monitor Backlinks provides you with a solution. With the help of this tool, you will be able to figure out exactly where the bad links are and work on solutions. You can also check the new links used by your competitors. The tool also helps you in tracking the progress with the help of data graphs. This tells you if your efforts are paying out or not and if backlinks are contributing to the website traffic. You can sign up within 30 seconds and start using Monitor Backlinks and keep an eye on your link profile. PowerMapper is one tool that analyses the health of your website and comes up with accurate results. This is a web crawler that creates a map of the site by testing the different areas. There are various types of map styles available, including the likes of Electrum, Skyscraper, Page Cloud, 3D Buttons Map Style and the likes. It helps you check the broken lines, check accessibility, analyze browser compatibility, and works on the sitemaps. All of these contribute towards a higher SEO. Check My Links is an extension of Google Chrome. It helps you check and analyze the availability of internal and external links on your website. Further, it also determines whether the site has any broken links. HTTP Status Code Checker is an essential SEO tool which lets you check the status code, redirect location and response headers of an HTTP connection. HTTP status might reveal appreciable information about the performance of a website. There are various standard HTTP codes. For example, a 302 indicates redirection of a website to a new link, but it causes a lot of damage to the traffic. Instead, if HTTP 301 is used, then most of the link value gets converted to the new page. Similarly, HTTP 404 may not affect directly but has significant negative side effects which can be fixed by making a custom made 404 page. Often there are many external links or backlinks available on your website that you want to remove. Remove’em is a tool that will allow you to control your backlink profile with unnatural backlink removal and clear all bad links that have accumulated over time. This helps you avoid any penalties that would have otherwise been charged. Using Remove’em will also help you recover any site, get penalties lifted and result into better traffic with happier clients. Remove’em finds out the bad links using an automated anchor text system and link feature analysis. Its complete removal solution includes outreach tracking, finding contacts and disavowing formation with third-party validation. Backlinks can make or break your site’s reputation online. Undoubtedly, quality backlinks from quality websites can boost your site’s ranking on search engine result pages drastically. Well, on the other hand, subpar backlinks from spammy websites can interfere with the authority of your website. This is why the timely monitoring of your link profile is necessary. Open Link Profiler comes to your rescue in such a scenario and helps you in checking the backlinks for your site for free. All you need to do is enter a domain name in the search box given on the website and click on Get Backlinks Data. This would provide you with the immediate link analysis of your site. SSL checker assists in fixing and diagnosing problems when it comes to SSL certificate installation. Verification of your SSL certificate is made easy, and you can also ensure that it is correctly installed, trusted, valid, and doesn’t give any of your user’s errors. To use SSL checker, you only need to enter your server’s hostname and click on the SSL button. Just make sure that the hostname you enter is set to public for better results. Rank Tracker, best search engine ranking tool in my opinion. This is yet another tool which I would like to recommend. SEOPowerSuite works well on Mac, Windows, and Linux. SEOPowersuite consists of 4 different applications – Website Auditor, Rank Tracker, SEOSpyglass and Link Assistant. With the help of these four programs, SEOPowersuite helps you improve your site rankings, generate a lot more site traffic which converts into sales, saves time by working on SEO faster and the likes. It provides an in-depth analysis that proves to be useful for digital marketing. You can start with the free version which is tested by 500,000 experts. Rank Tracker uses eighteen keyword suggestion tools such as Google AdWords Keyword Planner, SEMrush, Wordtracker, and others to help you find all of the profitable keyword variants your campaign is missing. Professional, white-labeled ranking reports in HTML and PDF allow you to obtain new business or keep your current SEO clients up to date on their performance. By setting up Rank Tracker on predefined dates and times, you can have a hands-off approach to your tracking. Rank Tracker will update you automatically on the findings, and you can check that task off of your list. A customizable work area allows you to filter out only the data you currently need. You can use tags to group or categorize your keywords and pages, export your data to a number of different formats, and work behind a proxy to stay within search engine limitations. SEO SpyGlass provides insight into backlinks. They claim to have the largest backlink index on the web, and you can search it in a matter of minutes to discover all backlinks point to any website. Harmful backlinks occur even when you don’t intend them. Your competitor’s negative SEO affects your trustworthiness online. SEO SpyGlass detects these harmful links and helps you neutralize them. Boost your own link building performance by analyzing up to five competitors at once. You can check the value and history of every backlink on your competitor’s site and use the best ones to enhance your activities. Build reports for clients and share data internally with co-workers. Work conveniently with large volumes of data by sorting, grouping, filtering, and displaying in digestible ways. You can also run automatic link checks, filter your work area, work from behind a proxy, and export your data. You should complete an audit and optimize your website often to remain relevant to search engines. The WebSite Auditor automatically checks your website for technical issues that can undermine your rankings. Because search engines crawl your website for relevant content, you want to ensure those search engines find what they need on an adequately indexed site. Create quality XML sitemaps to boost your indexation and leave none of your content unnoticed. Appropriate keyword density ensures your pages rank high, so calculate your ideal keyword density and stay search engine friendly. WebSite Auditor can identify and prevent keyword stuffing to keep you from spamming visitors and avoid penalties. You can monitor social metrics using the most shareable pages on your site and then compare this data to visits referred from social networks. By tracking metrics for each of your site’s pages, you can determine where visits are coming from and which pages you should promote. Build reports for sharing with teammates or sending to clients, and customize your workspace to display only the information you need. LinkAssistant manages all of your links in one place. Spreadsheets, manually browsing and losing data are no longer issues. It helps you find relevant link opportunities, and you can see the top ranking websites and competitors in your niche. Monitor your links, so they bring value without penalties. LinkAssistant collects contact information for each domain that links to you, so you can manage email correspondence from the software and change or remove unwanted links. With beautiful customizable reporting and exports, you can keep everyone in the loop. Google Rank Checker is a must for every if you want it to perform well in search engines. It helps you in identifying where you rank for particular keywords. Search engine optimization works best when the right keywords and content are understood which can be achieved. Authority Spy is one of the most widely used and popular links and site rank building tool in the market. Its tagline gives you an overview of its capabilities. Looking for the top influencers in your field and to connect with them effortlessly, then Authority Spy is for you. One of the most significant advantages when using tool is how it comes up with results, data and information from a wide range of online resources, including but not only Twitter, Google+, Klout, Facebook, and Alltop. With the help of Authority Spy, you don’t have to waste your time and resources scouring and organically searching through these sites for the data you need. Whitespark is a reliable citation services provider based in Canada. It has an in-house team of 50 website submission managers that can handle 60,000+ citation submissions every month. It provides an all-around package that includes building citations, track rankings, and managing SEO. Whitespark provides you the freedom to choose the websites you would like to submit the listing to. Further, it also guarantees that 70% of the listing submissions would go live in a month. Over time, the application has been trusted by thousands of users for optimization of SEO rankings. With Whitespark 90% of listings data remains intact even when you stop using the service. If you want a perfect solution to monitor your SEO rankings, SERPWoo is an option to consider. How does it work? The process is simple. The application pulls data from third-party sources and social signals and interprets them in a format that is easy to understand and work with. Serp Woo provides its clients with a live demo of the workflow, and the monthly pricing starts at $49 per month! In addition to tracking your rankings, SERPWoo helps you in increasing SEO traffic, reports progress and alerts you when something worth noticing happens. The SERPs Rank checker is software that I regularly use to check where my site ranks. It is significantly helpful when it comes to tracking and analyzing traffic and the marketing achievements of your site. You and your clients can use this to access the keyword ranking from any device that has access to the internet. The result page would show where your website ranks in the search engine for the particular term. RankTrackr is an excellent SEO analysis tool to have in your arsenal if you are serious about your business. It is a high accuracy program that can be used to track the popularity and ranking of your website for relevant keywords of your choosing. It can be used to get updates on your website’s popularity over the time and also provides you with a historical analysis of how your site has done. You can also use it to compare your rank with that of your competitor which can help you make better strategies and plans for the future. The RankTrackr uses a method that is proven to be more accurate than the other rank comparing options in the market. You can also the filter keyword option to filter your information flow. When it comes to search engine optimization, the goal is to rank the highest, and this allows me to keep an eye on my rank and make steps to improve it. Buzzsumo is a must have. It makes finding good content an easy and effortless task. The “view sharer” feature allows you to see how many people share your content on Twitter. The “BuzzSumo Alerts” can be used to tell you when a particular keyword or phrase gets mentioned anywhere on the web. This can be great when it comes to keeping track of keywords and your competition. Good quality content can go a long way in improving your SEO’s image and outreach. I always prefer quality over quantity when it comes to the content on my site, and this allows me to keep track of what I share and what I should be sharing. As the owner of a content marketing agency, I’m always hunting for trending topics for potential content ideas on behalf of my clients. BuzzSumo is my #1 resource for quickly spotting viral content and understanding which platforms show strong engagement (e.g., Facebook, Twitter, LinkedIn, etc.). This allows me to further investigate how we can model our content to hopefully tap into that trend and drive traffic/eyeballs to our client’s landing pages and offers. Google has a wide range of free resources that can help you improve your SEO. It can help you predict the trends and tactics of your opponent or industry. Knowing how the market will turn out can be a significant advantage in this business. Google Trends can be used to see the change in the search volume when it comes to different topics, keywords, entities and search terms. It has helped me stay one step ahead of my competition and to improve my business. The topic that is trending on the Internet changes on a daily basis and can help you predict the next trending topic and act according to it. Google Alerts is not just relevant to use for SEO, but also for website building and optimization. Even though its reliability has come under question, it is one of the essential tools in the hands of experienced marketers and content marketing creators. You can use Google Alerts to keep track of any topic of your choice and receive regular notifications from Google on the latest updates to the index. The most common use remains to find non-linking citations of your brand and to keep track of the most recent updates and news from a topic or company of your choosing. One of the most significant advantages of Alerts is the option to have it in the form of RSS feeds, which makes it perfect for combining with other resources and keeping track of multiple alerts. Scoop.it enables you to share your ideas and thoughts to the right audience. The Content Director at Scoop.it can help you identify and create great content on your website. It mainly concentrates on three types of users: Thought Leaders, Knowledge Managers, and Content Marketers. As you already know that the secret to attracting the right audience is to create and release excellent and relevant content on their website. It not only allows you to get the best content marketing but also helps you in delivering the content through a fast and reliable network to the audience. Klipfolio is a highly useful and designed to help in many aspects of your business, like emails, digital and social media marketing among others. It is also a great search engine optimization tool and is an SEO traffic key performance indicator by the name of Alexa. It is excellent for monitoring the traffic that your website receives organically and using ads. All these factors make the All in One SEO one of my all-time favorite tools to work with. If you are looking to work well on your WordPress site, SEOPressor is a perfect plugin to use. Personally, it is my SEO plugin of choice on WordPress websites. It gives you a complete clarity on your site’s status. Apart from just analyzing the SEO status, it also provides you with a list of features to customize the site and boost your rankings. Further, the best part of SEOPressor is its ability to stop you from ‘over optimizing’ your website. This plugin alerts you directly by bringing problematic areas to your notice. For example, the plugin issues warning if the content is over-optimized for a particular keyword, and helps you take the proper corrective action. I use this plugin to perform on-page analysis, get insights, improve relevancy and to manage internal link structure of WordPress websites. The subscription plans start at a pocket-friendly price of $9 only! By using this tool, you keep your campaign ready with free SEO updates. Pixelmator is an image editing software similar to Photoshop. What do images have to do with SEO? Well optimized photos are essential for page loading speed, a Google ranking factor. It is packed with innovations starting from editing reimagined workflow and simplifying your editing tools. The features of this software are smarter, powerful, yet more accessible and more intuitive than ever before. With all these fantastic features, it will be easier for you to rearrange, resize, and move all the layers of your site. It also lets you edit the colors in your photos any way you want. Each adjustment has a breathtaking color quality thanks to the image processing techniques that get rid of posterization and improves the clarity of the photo. The RAW feature lets you edit multiple layers of images in a single document using all the image details saved in your RAW files. The Wayback Machine is ideal if you are looking for a complete historical archive on the internet. It allows you to find out how a website used to look like in a previous version. It is an excellent way to investigate the reason of traffic changes after you have updated your website and you do not have any backup available. It is one of the coolest free platforms that I use on a regular basis to monitor and improve my site. Even though it is not meant for SEO’s, it can still be helpful in gathering valuable information about your website and what drives traffic into it. Guest Post Tracker is a sizeable organized database of more than 1000 websites that accept guest posts. 1388 as of this posting. I have been using this tool since it was launched. The guest post tracker is a well-organized blogger outreach software to find guest posting opportunities. Organization and ease of use is the key here. It lists many free opportunities, as well as paid options. Updated on a regular basis saves you time by reducing dead opportunities. After you register and you start using it the first time, you can quickly submit and track of all the guest post submissions, organized by project. It provides a detailed summary of all the blogs you submitted to, the date of your submission, and the anchor text you used for the submission in a simple interface. One significant advantage compared to using a simple list of blogs is that it provides stats for each blog including social signals and domain authority. You can spend your time pitching guest posts to the highest quality sites with real traffic, and not PBN’s. The website itself provides a ton of valuable resources and tips regarding best practices of guest pitching and posting. Redirect Path is a great tool that all SEO specialists must use to get the most from their website. It is a free Google Chrome extension that enables you to find HTTP heads and redirect errors. This allows me to spend more time fixing the issues than looking for them. Not only you can use the plugins to display the HTTP headers, such as cache headers and server type, it also allows you to get the server IP address with just the click of a button. Another significant benefit of the Web Developer Toolbar is its keyboard shortcut options. The keyboard shortcut option allows you to quickly choose any of the features with just the press of a button. This helps improve the speed and efficiency of the user. The plugin that has a large number of applications when used by an experienced and skilled user and can be used to get a large amount of data from a website. Builtwith does everything that it promises and much more. It allows you to see the technology used to build a site. It can also be used to find the build of your site, the tools used and analytics which is implemented and much more. This is one solution that you must have and learn if you are planning to do SEO client work. You can use their database of 19,446 web technologies and a quarter billion website for lead generation and improve the traffic to your web page. Having an idea of the data or the building of the site is great when it comes to developing and optimizing your website to run quickly and efficiently. The Structured Data Testing or the SDTT allows you to have an X-ray vision of your website. This resource from Google will enable you to examine the on-page schema code and test schema markups securely and efficiently. Getting the on-schema code for a website can give you a significant amount of data or information on the page. And I do not have to tell you about the importance of having the proper information in this business. The tool is also extremely user-friendly and easy to use. All you need is the markup or the URL of the website, and you are ready to go. You can use this to gain information about structured data and to contain rich snippets on a page, irrespective of whether the web page is online, behind a password protected page or on an intranet. You can it to test microdata, Schema, and JSON-LD data, making it an indispensable program in the arsenal of any SEO specialist. You can also use it to view your structured plan for your website. Screaming Frog is a desktop application that can be installed on any system including a Windows PC, Mac or Linux and used locally. What it does is crawls through the links, images, scripts, and apps on the website to get an idea of the search engine optimization of the site. This effectively analyses onsite SEO by going through the site URLs and other content. With the help of this app, you can find broken links, figure out duplicate content, generate XML sitemaps and the likes. You can either download it for free or purchase a license to unlock advanced features. A great feature of Screaming Fros that I love is its ability to fetch everything related to technical SEO from your website. You don’t need deep SEO knowledge to know what is wrong and what is not; this tool will filter out issues for you. It works similar to Googlebot by including nofollow and noindex tags. However, if required, you can define your unique directives and provide more control to the tool. If you are auditing an extensive website with 500+ pages, I would highly recommend you to buy the licensed version of the Screaming Frog. Found’s Audit Tool checks the entire website and provides you with a precise overview of the useful areas of your site and the areas that need improvement. This allows you to find the problems and fix them accordingly with the help of the suggestions that are provided by Found’s Audit Tool. The audit focuses on three aspects. Firstly, it analyses some technical issues like XML sitemaps and domain canonicalization. Secondly, it checks the content for any problems that might arise with regards to the keywords found either on the page or on the meta-data and thirdly, the analyze all external links that are available. Test My Site is an ideal to get an overall measure of the site’s performance both on the desktop and mobile devices. The tool provides recommendations and suggestions and helps you in fixing the loopholes on the website if any. It is straightforward to use as just by typing the website address; a detailed report can be acquired. Hootsuite is a great tool that can help improve the ranking and popularity of your SEO by monitoring the social media interaction between you and your customer. Even though social media is not the first thing that comes to your mind when talking of SEO’s, it remains a fact that it drives traffic. Hootsuite can be used to monitor various aspects of social media and make plans to improve your website. Having the most information about your customers and their needs is extremely important for maximizing profit, and this tool can help you significantly when it comes it. Social media optimizer is a great way to check if your website’s HTML code is optimized for sharing using social media platforms. The SMO tool will also analyze your mark up code Google +, LinkedIn, Twitter’s summary data card, Authorship, and Facebook’s open graph protocol. Just enter your website’s URL into the box, and you’ll be able to get a full summary of details. The results that appear on your screen after you enter the URL will give you a rough approximation of what your site will look like when it gets shared via the social media Icons present on your website. It allows you to control what people see on your social media pages when they want to share your page. So for example, someone wants to share or like your page, and you want to control the content that people see, you will have to optimize the tags on your page. It has open graph protocol, which allows you to control the content. It will also secure your branding and reputation by claiming profiles for you on all social networks. The Searchmetrics Website Analyzer is a performance dashboard that helps me with my search and social rankings. The free version of the Searchmetrics Website Analyzer enables you to get the taste of the rank when it comes to search and social performance. Along with this, it also provides you with a preview of the top search terms. Along with this, it also provides you with a preview of the top terms. But if you are want to invest in an excellent program; like I like to do, I suggest that you buy the full, paid version. Buffer is an intuitive social media management platform that saves your time by managing your social media effectively. The tool helps you in scheduling posts, tracking the performance of your posts and further enables you to maintain a range of accounts in a central location. Additionally, the tool also allows you to customize your posts for each social media network. The best part is its ability to share posts to multiple profiles without asking you to switch the platform. Bright Local is a perfect alternative to Yext, for Local SEO. It is an ideal solution for agencies, businesses, and even freelancers. Being a tool for professionals, it gives you quality services at the most affordable rates! And the best part is, it is available to you, starting at $29 per month with a free 14 day trial period. If you are like me, then you want your pages to load faster and without any issue. It is a well-known fact that Google uses page speed of the website when it comes to ranking them for in search engine. This tool from Google lets you see if your site is as slow as a snail or as fast as lightning. And in this business, that can mean the difference between the best tools and the rest. Just enter the URL, and PageSpeed Insights will test the loading time and other performance aspects of the website for both mobile and desktop use. It also identifies opportunities for the site to improve and even acknowledges all the things that you have done well. The results provided for mobile application also come with a user experience score, which grades your website in areas like its font size and others. If you do not want to use this, you can use any of the other alternative options that work similar to this app. These include Pingdom, WebpageTest, and GTmetrix to name a few. I use a combination of them to reduce server response time or TTFB and serve content as fast as possible. Most people use Bitly for the process of URL shortening. But the real power of this tool or platform is when you use it for analytic capabilities. I mostly use the bitly for its analytic function than for its URL shortening. Don’t get me wrong; the URL shortening is a valuable bonus. I highly recommend this add-on/extension if you are often working with spreadsheets sorting vast amounts of SEO data. Search Analytics for Sheets enables you to get opportunities for content ideas and optimization. The main benefit is that its time consuming to replicate the procedures in an efficient manner using the standard web UI. In other words, it saves you precious time in your workflow. It is possible to do all kinds of grouping large scale using the Search Analytics UI. All you have to do is filter one keyword after the other, country, landing page, etc. so you can get the data that you require. Due to its cloud nature, using Google Sheets which has endless expandable options using scripts, add-ons, and libraries. Create automated backups on a monthly basis, fetch data from GSC via API which you can group and filter to your liking. Install the add-on. Although you will be asked to authorize lots of staff, do not worry. Google has already reviewed the add-on, and no data is being monitored, saved or utilized in any malicious manner. It is relatively simple to install the add-on. By far, this is the feature that I use mostly together with automated backups. Now, you have a new sheet with a list of queries, their relevant landing pages, CTR, Clicks, query-page pair position and information including impressions. From here, it is up to you to do with the data as you please. Link Prospector helps you reach people to link back to your website. There are journalists, content promoters, reviewers, bloggers, and other types of people looking for content just like yours. The Prospector helps you find those people. Establish a trusted history of backlinks with Link Prospector. Search by topic for relevant news stories with easily accessible reporters. Find bloggers or writers interested in showing off your content to their audience. You can also use Link Prospector to identify directories listing sites like yours quickly or connect with people who will cover your product in exchange for goods and services. Earning links through sponsorships is also possible on Link Prospector. It’s a resource to get you connected with the types of people who can help promote your product or service in the appropriate places. Content Experiments is another offering from Google that has a wide range of applications when it comes to improving your SEO. It is now the part of the Analytics rather than a stand-alone tool or app. Even with all the changes that it has gone through, it remains a free and efficient way of testing and optimizing your website. Content Experiments works in conjugation with the plans you have made with Google Analytics and allows you to create different versions of your site to show your users. This will enable you to test out layouts, headlines, color combinations, content and all the other features of creating a perfect website. With the growing importance of conversion rate optimization in digital marketing, the allows you to make and test change to your website. It can help you achieve actionable results. Content Look is a progress tracker that helps the user see their metric activity, and tasks for each page of their website. It can track up to 300 pages worth of progress, which can be upgraded eventually if you want to track more pages. It will also allow you to uncover those pages that work well with your business from those that don’t. It can also allow you to view each page individually, assign tasks to that related page, and collaborate with team members. The user can also view a more detailed report which includes Social media metrics, Word count, optimization, Traffic Data, Customer engagement Data, Content analysis and so much more. It has advanced filters that allow you to be very specific when you want to look at the pages and need to narrow it down. The content look will also show you those pages that don’t perform well for your marketing strategy, which makes it an excellent tool for maintaining your stats. If you have a few campaigns set up for business, you can use the ContentLook to show you only those pages that belong to a specific marketing campaign. Furthermore, it will help you get a glance at how much effort you need to put into each page to reach your desired KPI’s for the campaign that you are currently working on. Netpeak Spider is a desktop tool that can be installed on Windows PC and, Mac OS. It does is crawls your website like a search engine robot and detects critical issues that influence the website’s visibility in SERP. You can analyze incoming and outgoing links, find broken links, redirects, indexation issues, duplicate content, titles, meta descriptions, headings, and more. Netpeak Spider easily checks 50+ on-page parameters. All issues found on the website are divided by severity into Errors, Warnings, and Notices. You can easily understand what steps you should take to improve your rankings. It also includes an internal PageRank calculation tool. With this function, you can track link juice distribution and improve website linking structure. Keeping your website in proper working order helps search engines find it, and eliminates poor user experiences. Regularly check the performance of your website using Pingdom to run a speed test. Pingdom returns a number of metrics you can use to increase site performance such as load times, performance grades, and useful performance insights. It also provides suggested solutions for lousy performance grades. Graphs give a visual representation of content size and type and help you comprehend site redirects, accessibility, and more. Deepcrawl is software that lives up to its name when it comes to crawling websites. It is the best crawling analysis tool along with Screaming Frog. It can scan the whole of your website and help you get a comprehensive report that lists out different information, like how many H1 tags you have on each page, broken internal links, broken external links and non-indexed pages among others. It can even tell you if you if your Twitter card description is a tad bit long. It can be used to distinguish different URLs based on their characteristics. It also has many other functions which make it an indispensable in my arsenal. You can use it to identify high performing pages on your site and find out how your architecture can support it better. I also use this Deepcrawl to determine pages which have very thin content to make sure that my site’s visibility is not affected. A sitemap is crucial in telling the SEO spider which pages of your website you want crawled. Google XML Sitemap is a WordPress plugin that can be used to create an SEO friendly sitemap automatically. To create a sitemap for your website using the XML Sitemap, simply enter the URL of your site along with a few other optional parameters into the XML Sitemap, and it will directly create a sitemap for your website which can be uploaded to the Google Webmaster Tools. Search engines see things a lot differently than how we look at it. Browseo is an app that can help you see your website the way the search engines see it. When you use this tool and enter the details of your site, it strips out everything on the website until only the guts remain. This style of seeing your site can help you get more understanding and information about your website and also allows you to see the hierarchy that you have given to the different elements. With this information, you can improve your website and how it appeals to the audience. You will also be able to spot certain things on your site that are not readily visible in the original view. This can be of great help if you want to improve the overall appearance and rankings. You will also be able to spot certain things on your site that are not readily visible in the original view. This can be of great help if you want to improve the overall appearance and ranking of your website. Copyscape is a website that I am pretty sure we all have heard about or used at least once in our life. Google has some pretty strict terms and regulation when it comes to copied content. If Google finds that similar or same text in two different URLs, then it can negatively affect your web ranking or outright ban your site. It is important to make sure that you do not have any copied content in them. Copyscape is a great resource when it comes to making sure that there is no copied content on your website. It can help you detect and find out the exact instances where there is duplicate content on your site. There are both free and paid versions of the tool which you can choose depending on your needs and requirement. The Robots.txt Generator is easy to use tool that helps you create a proper Robot.txt directive for your site. The Robot.txt file helps your web robots know what to do with a website’s page. If you disallow a page in the robot.txt, then the robot is being told to entirely skip the over the said web pages. These robot.txt files help you ensure that Google and other search engine are crawling and adequately indexing your web page. But there are some exceptions to this case as there are cases where a robot.txt might be ignored, mostly due to malware robots that are on the lookout for security issues. If what you are looking for is a tool that can allow you to have a quick and dirty look at the on-page SEO of your website, then SEOptimer is the software for you. It has a wide range of applications in the hands of the skilled and experienced. And the best part is that it is free. It is one of the best free SEO programs on the market. Spider Test is a must-have in your arsenal. Spider test provides a significant amount of data, from the page size, Meta descriptions, page title tags, keywords associated, etc., and it is incredibly easy to use too. Just enter the URL of the web page about which you want the details and simply press Go. The tool will provide a quick insight into the source code of the page, all external links, common words, and phrases. It also shows you how effectively the crawler has indexed the page and how the website appears to the search engine. All this information can significantly help you in improving your website and aid you in attracting organic search traffic. It doesn’t matter if you call it HARO or you call it Help a Reporter Out, as long as you are taking advantage of it. HARO isn’t your traditional SEO software. HARO describes itself as a service that provides the journalists with an efficient and robust database of sources for upcoming stories and scoops. It also provides the source a chance to get some all-important media coverage. As an SEO specialist, you do not have to be concerned about the journalist side of the equation. What concerns you is the media coverage side of the equation. HARO works based on a simple system. Once you log into the service and provide the necessary information, you will receive three messages daily with media opportunity. As you find a suitable partner for yourself on the other side, you can provide them with a quote, answers to their question and other information, which leads to a mutual relationship that is beneficial for both the parties. This can help you get a lot of cheap but effective publicity and marketing. Read my full review of HELP A REPORTER OUT here.link research. Google Structured Data Tester is my personal favorite. This application has undergone several updates since it was first introduced to the users. When you enter the page, the first screen that is displayed prompts you to enter either a URL or a code snippet to analyze and validate. From the confirmed segment on the left, the users can click on any class or property, and the corresponding content will get highlighted on the right. This tool searches the URL entered by the user on the web and highlights problem areas. Users can enter the brands they manage the system, import previous backlinks and Linkio provides a roadmap of what the next set of anchor text should be. This roadmap can then be split up into monthly orders for the delivery team to work on. It provides an intuitive way for subject matter experts to plan out months worth of SEO and it allows project managers and junior members of a team an easy way to know exactly what needs to be done in the current period. Bing Webmaster Tools is a must-have if you want to enhance the performance of your website on search engines, especially Bing. The Bing SEO tool provides you with a free report on the type of people visiting your site along with their geographical location, preferences and other data which helps in proper data analysis. Based on parsers like SGML and XML, W3C Validator is a markup validation service. It checks documents for markup validation on HTML, XHTML, SMIL, and MathML. It is always wise to ensure that your website is W3C compliant as this validation will help in determining the development of the website and will allow you to figure out what aspects need to be fixed. W3C Validator will check for all the small errors in coding that might lead to slow site speed, and you can easily get rid of them. Though perfect coding is not required for web ranking, if the speed decreases, your rank is bound to slip down. A large number of internet users use mobile devices instead of laptops or desktops. Therefore, it is necessary that your website is mobile friendly to ensure good inflow of organic Google search traffic. It helps you find out how the website appears to Google when opened on mobile devices. It also provides a deeper insight into the possible mobile usability problems faced by the site including smaller font size or the use of flash. Above all, it is easy to use. All you need to do is enter the URL you want to test, and it will provide an in-depth report once done. Instant Eye Tracking Predictions is a fantastic product which helps you enhance your websites by making them user-friendly and increasing their profitability. The tool helps you in analyzing web pages from the user’s point of view. It provides more profound insights on how users browse through the websites and what kind online behavior they have. Beam Us Up is crawling software that every SEO expert needs to have. It crawls your website in no time and brings onto table an in-depth analysis of your site, with clearly indicated errors. It lets you know if you have any missing titles or short descriptions. Further, it even brings duplicate content to your notice. In a nutshell, this is a perfect match if you are looking to have an in-depth audit. So which SEO tool do you rate as the best? Running a profitable website is a hard job which requires a lot of planning, analysis, and information. Your success is heavily dependent on how you optimize your site. Use the tools mentioned above along with well-researched and engaging content to crawl up the SERP rankings. However, if online marketing doesn’t look like your cup of tea, or you need some help, hire my expert SEO services. Have in-depth knowledge of the keywords and trends that will influence the popularity of the company. Hiring an SEO expert can do wonders for your business. It can significantly help you optimize your website and improve its ranking in the search results. And we all know the importance of rank when it comes driving new customers. Do let us know in the comments and please SHARE this post using the buttons below.